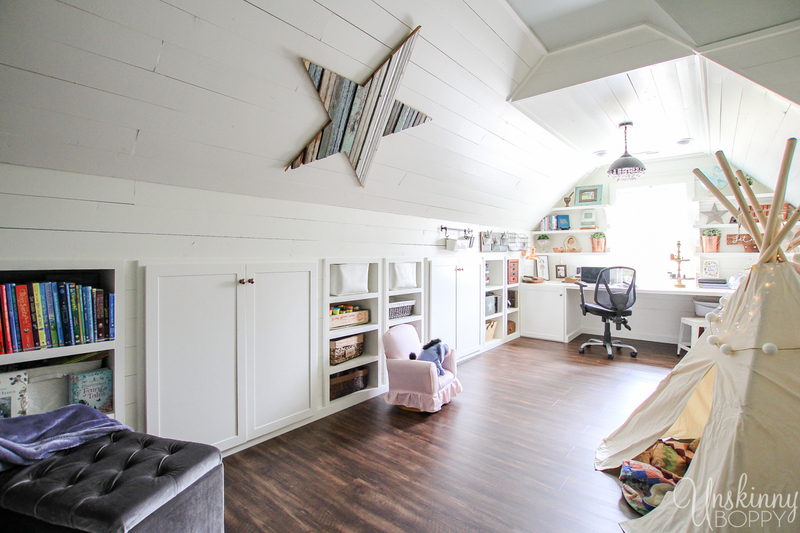 The attic is finally complete, so I wanted to gather up all my Before and After photos in one place to show just how far we have come in this room. 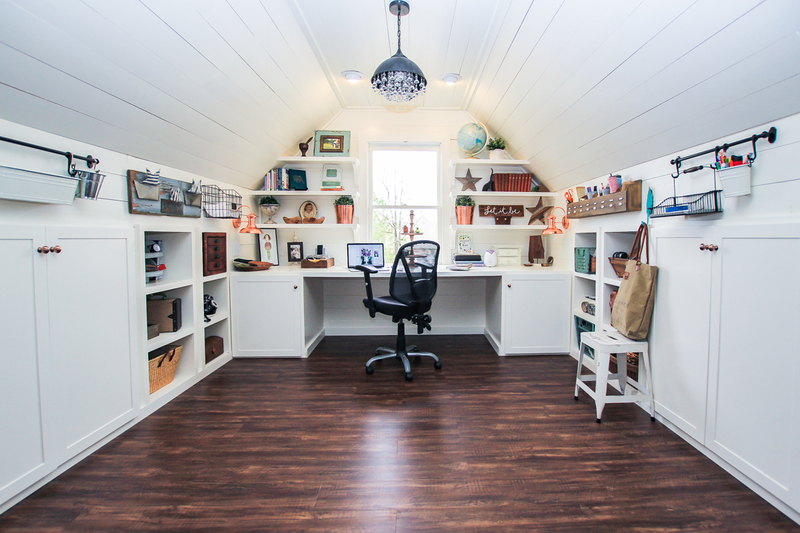 And here is the finished attic turned office! The transformation is really hard to believe unless you see all the progress pictures. I will link all those up at the bottom of this post so you can get all the details in one spot. 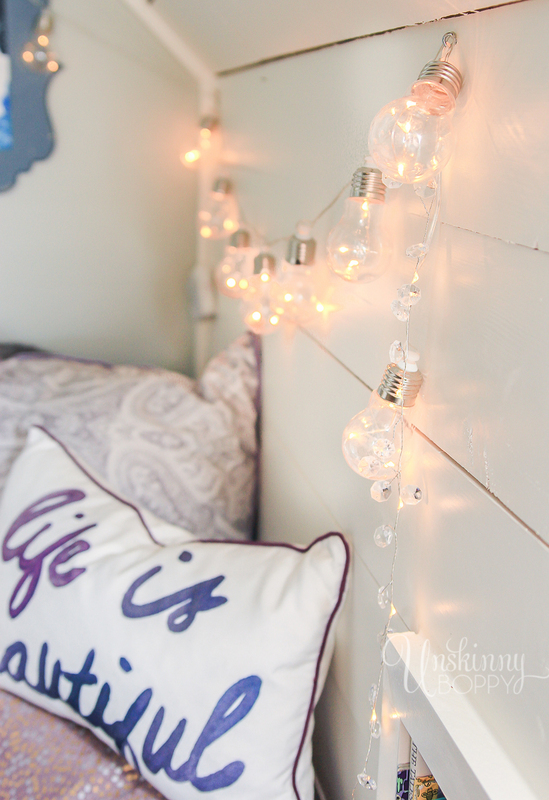 This is hands-down my most favorite room in the whole house now! All of these cubbies hold toys, office supplies and so much more. 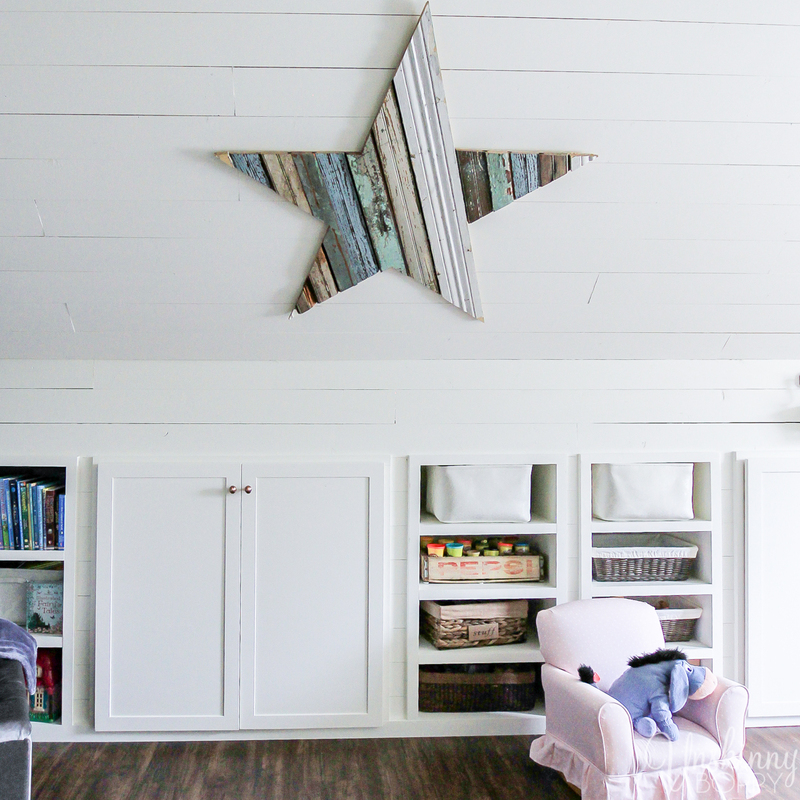 I decided to move the big reclaimed wood star into this room to break up that loooooong run of shiplap on the sloped ceiling. 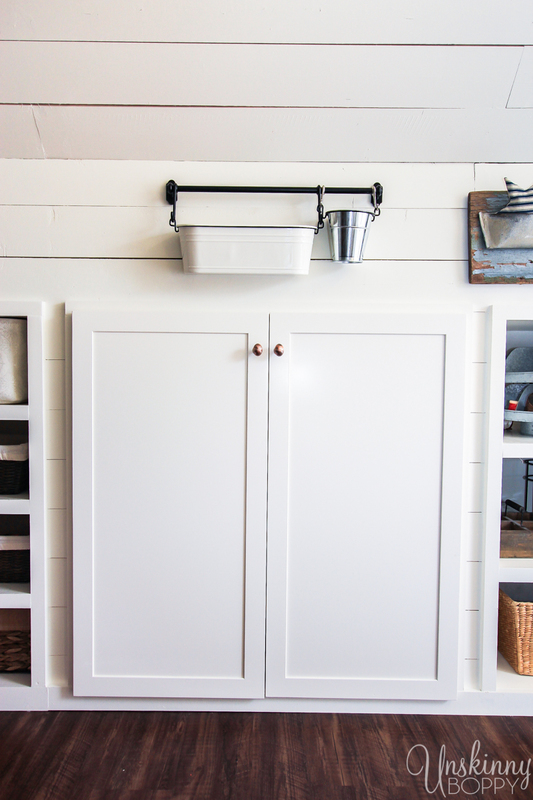 I was even able to squeeze in a lateral file cabinet underneath the roofline! 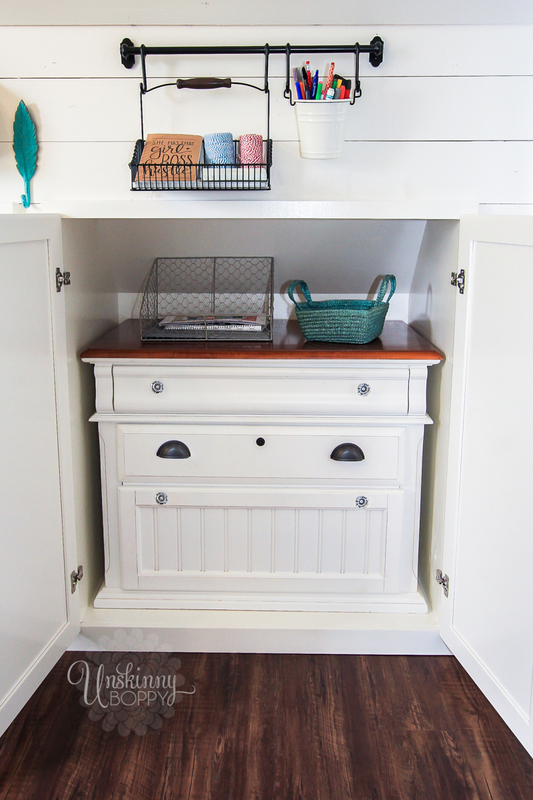 To save as much floor space as possible, we had custom built cubbies added under the knee wall. 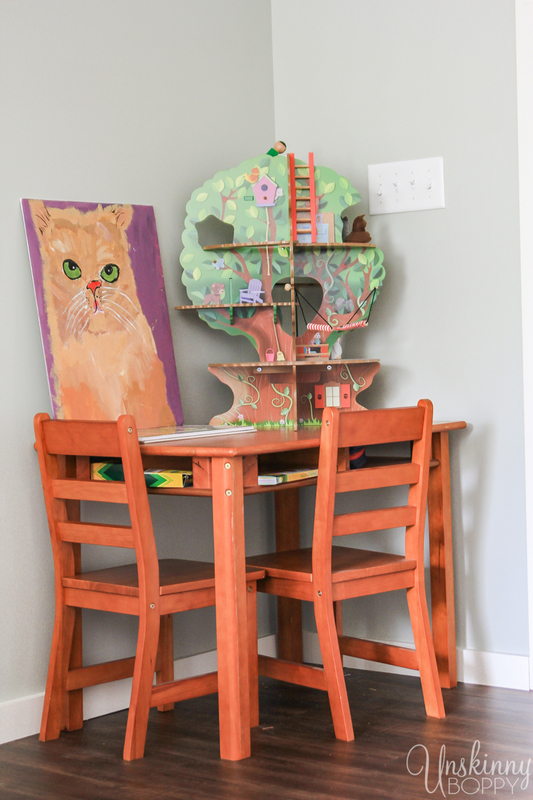 These were made using Purebond hardwood plywood so they are strong and durable for all the kids’ toys. My new desk has tons of room to spread out and also pretty shelving above for display. I’ve got a whole corner dedicated to craft and art supplies so I never have to search for a roll of twine or a pair of scissors again. A lot of the vintage stuff that I bought many years ago fits perfectly in this space. That old set of drawers on the top right came from the Country Living Fair many years ago. It fits like a glove inside that top cubby and holds my essential oils for diffusing at my desk. The kids have alllllll this space now to hold all their toys. 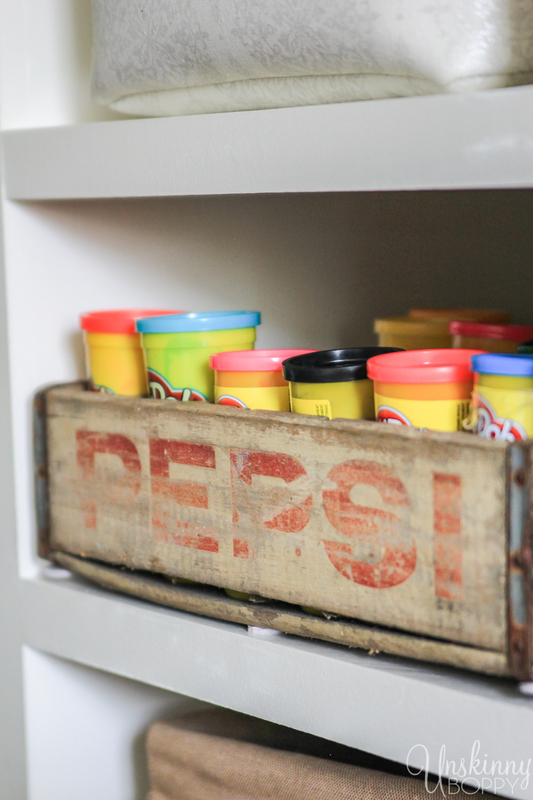 Who knew that an old Pepsi crate holds cans of Play-Doh perfectly? 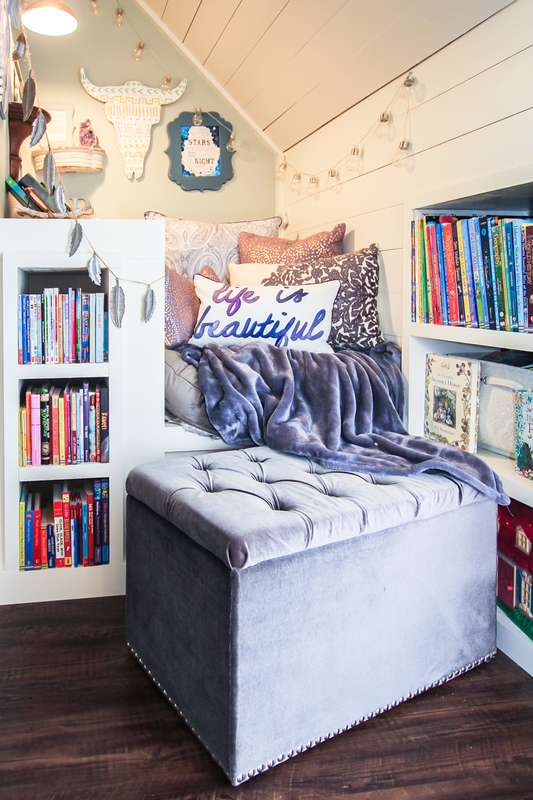 My favorite corner of this room is this reading nook. I wrote about it over in this post with tons of detail. 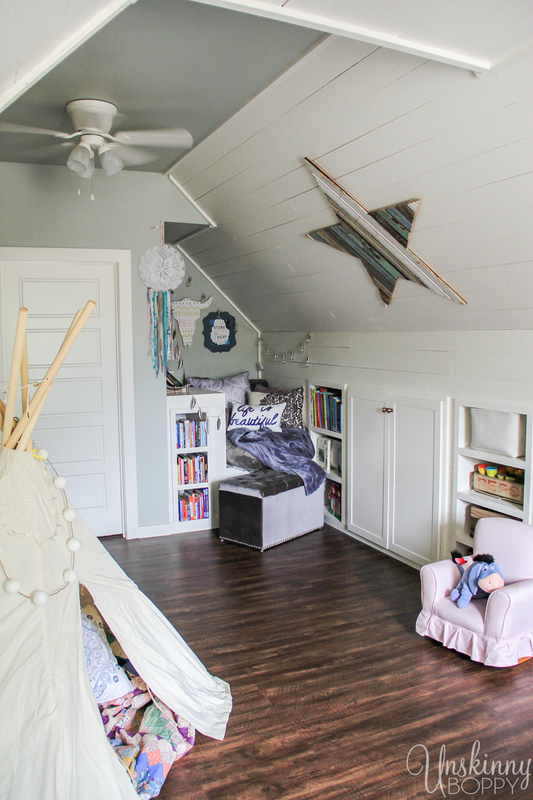 I resurrected the old tipi from Garrett’s old playroom at the other house and gave it a new spot blocking the door that leads up to the upper attic. We have no reason to get up in that area unless the air conditioner breaks so I don’t want the kids going up there. The little play table went in the back corner by the door. Eventually I plan to get that wall covered in Garrett’s framed artwork but for now we just have his cat painting leaning there while we wait on me to get some frames. I love this little treehouse dollhouse that I found on sale a few years ago. And finally, be sure to check out the lighting in this room. I just love it so. 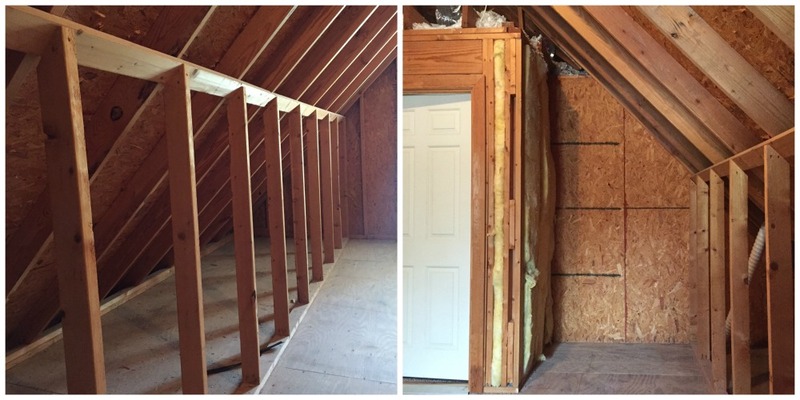 Unfinished Attic Turned Office/Playroom: Construction Begins! Thanks for following along, guys! 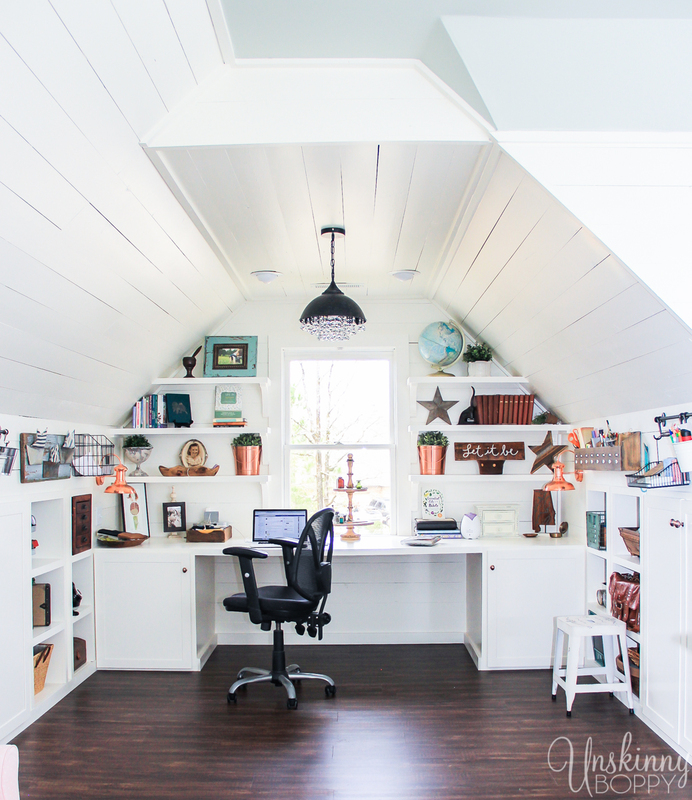 This post features some of the building products that went into making the attic-turned-office amazing. I was given free product from Purebond Plywood, D.L. Lawless Hardware and Sherwin Williams, but I wasn’t compensated for this post. The majority of this room renovation came right out of our pocket, and it was worth every penny! 🙂 All opinions are my own. You did an amazing job, what a sweet spot to hide away in. How big is this space? Thanks Deborah! The room is 10′ wide and 20′ long. Thanks Jess! Come hang out with me! 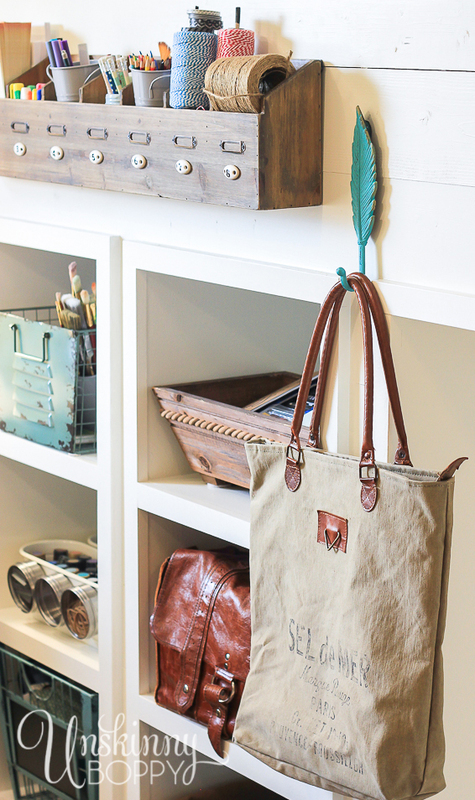 Love it and I want to do this in my unfinished space over our garage. Question, what did you do about heating/air conditioning? We have not installed a return in that room yet but there’s a chance we might if it gets super hot up there in the summer. We shall see! Absolutely beautiful Beth! Nice way to utilize an attic. Your decorating skills are amazing! I bet the kiddies love it up there! I’ll be awaiting your next project, so inspirational! I appreciate your comment, Lori! 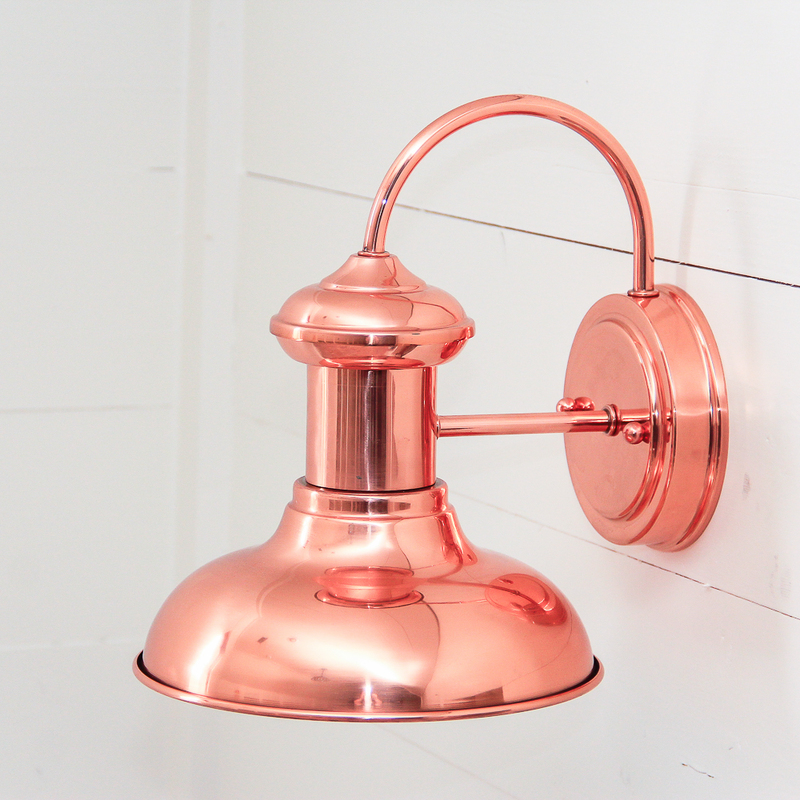 Absolutely gorgeous, practical and a little bit magical! The perfect place to work and play! Beautiful job Beth! 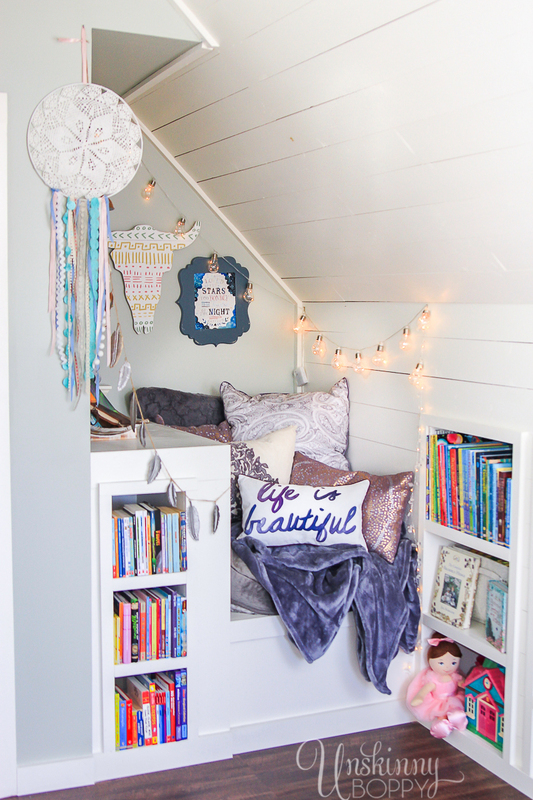 I love the finished attic. It’s an awesome space to hang out in. Every space has potential it is just a matter of seeing it, which is not something everyone has an eye for. I love how you left this space white, it allows your home decor to breath and flow nicely. 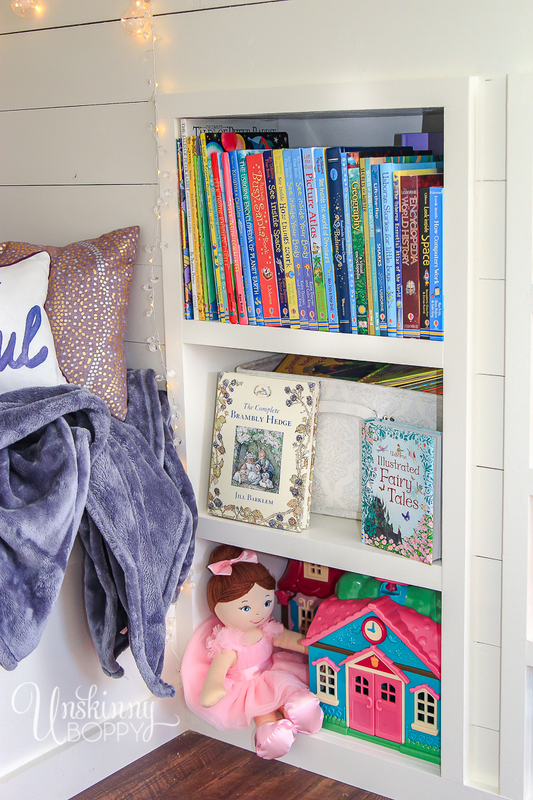 I also enjoy that this room caters to everyone in your family, a desk for you and your husband, a craft corner for you, and a plethora of areas for kids. Great job. 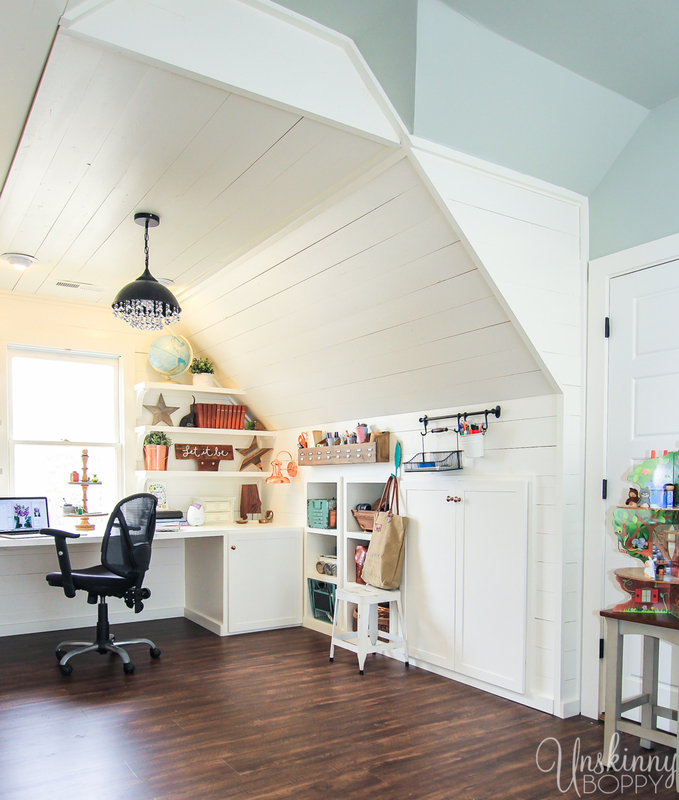 I want a taller attic and I want that exact office nook. 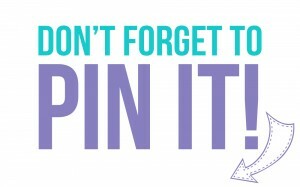 Now please! I don’t know who did the woodwork with the shelves but I’d like to hire them. The star on the ceiling *swoon*. This is an amazing remodel, great job, it looks fabulous! Just taok a few minutes of time from watching April the Giraffe, who’s set to give birth any time now….I can only watch the back end of a giraffe for so long, then need to get back to email. Anyway, wanted to tell you that the renovation you did is wonderful…wish I had an attic over my garage but it would be just a crawlspace. Also, wanted to tell you that Garett is a very up and coming artist…the cat picture is great. So you definitely need a space for his pictures to be admired. Now, back to April! This is an amazing renovation and room!!! I can why it is your favorite room!! Fantastic job!!! love, love, love❤ this! 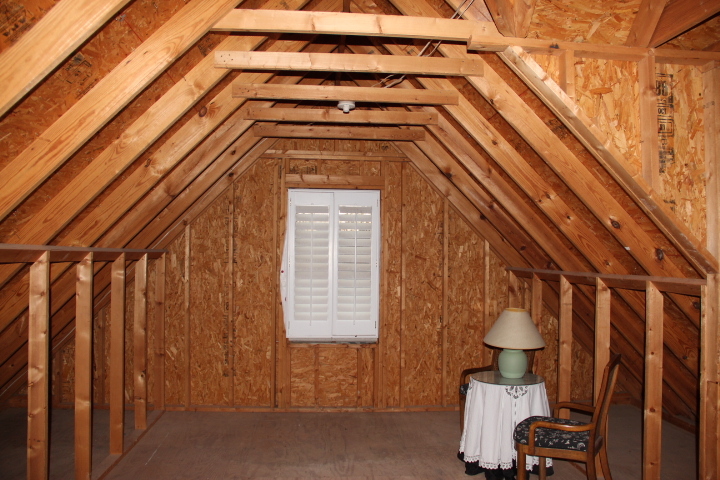 I have a similar attic and was wondering what a “ballpark” figure is for this project. What a lovely remodel! 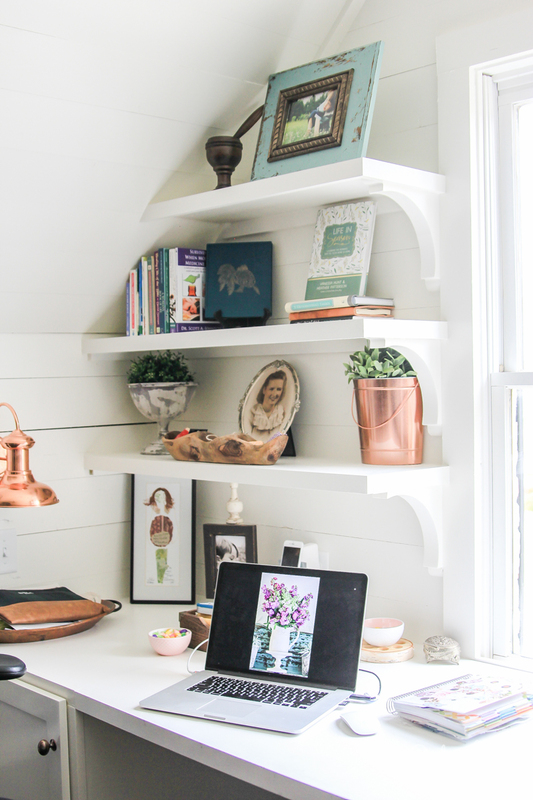 What is the color you used on the [sheetrock] wall (not the shiplap). I tead several posts and couldn’t find it. Thanks! This is lovely! 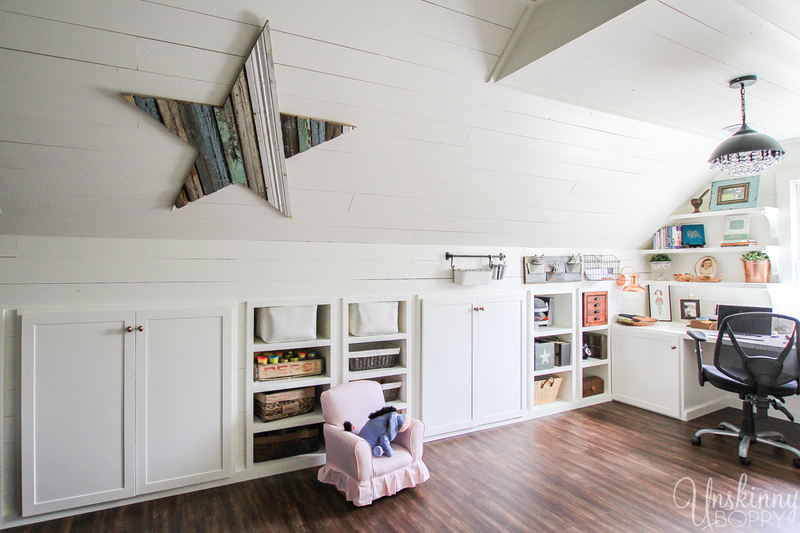 We have a walk up attic that we would like to turn into a play space that is vey similar. 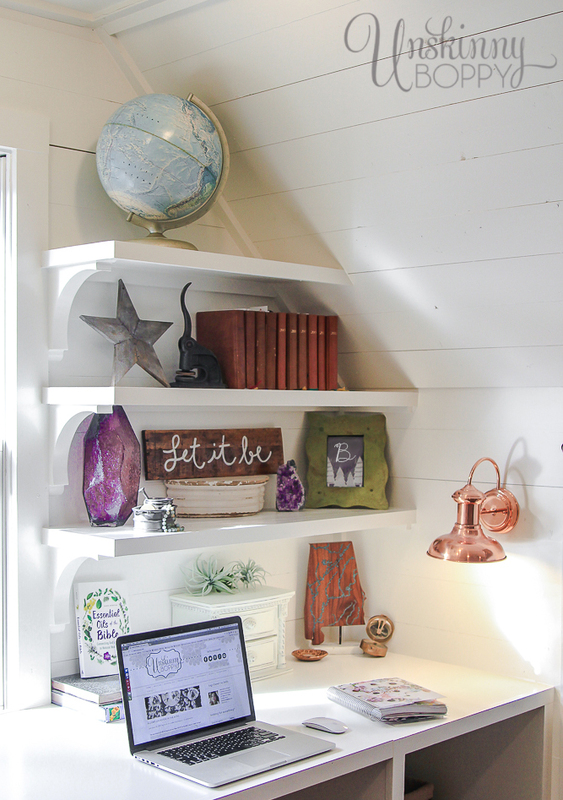 What type of wood did you use for the shiplap? Hey! Would you be able to let me know the dimensions of the space: I saw it’s 10w by 20L, but what’s the ceiling height finished and unfinished? 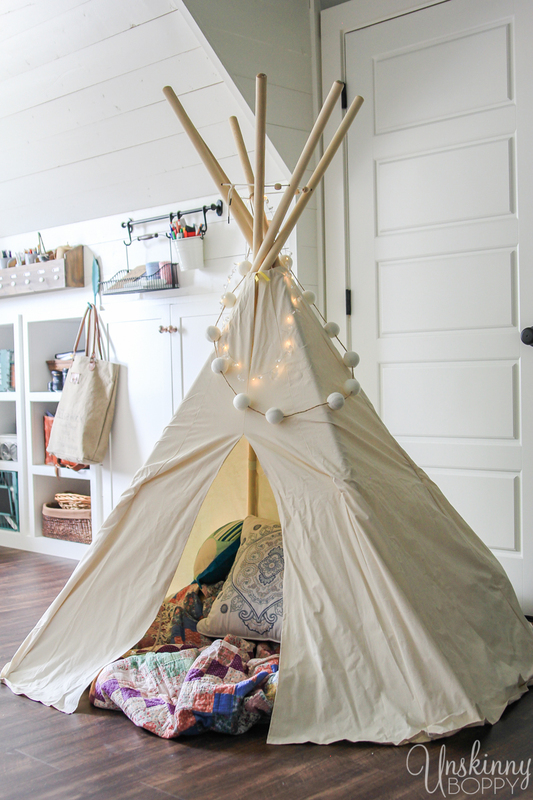 This space is absolutely beautiful and seems to maximize every inch of space! Love it! We’re looking to do similar project in our attic but I’m trying to get a sense of how different our dimensions are from yours. Thanks so much for the help! Hi there! Here is a post with some elevation drawings to give you an idea of each wall in the room. 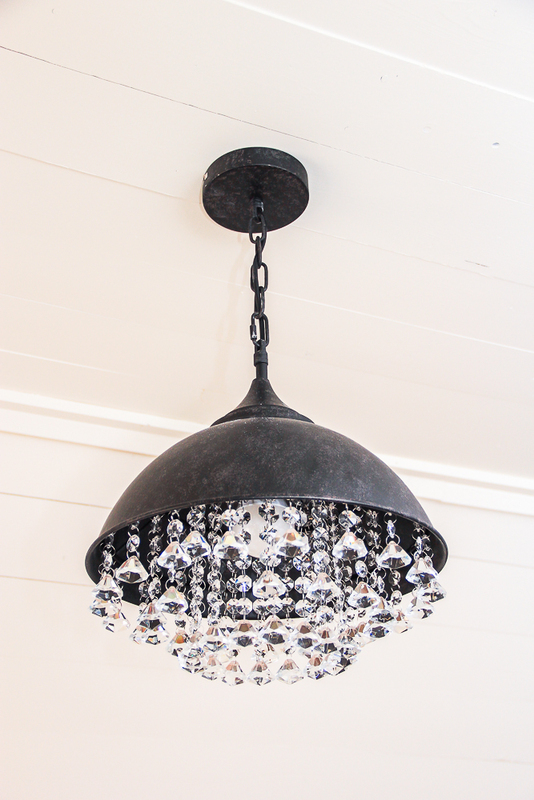 The A frame finished ceiling height is about 8′ and the sheetrock above the door is about 9′ high. Hope this helps! 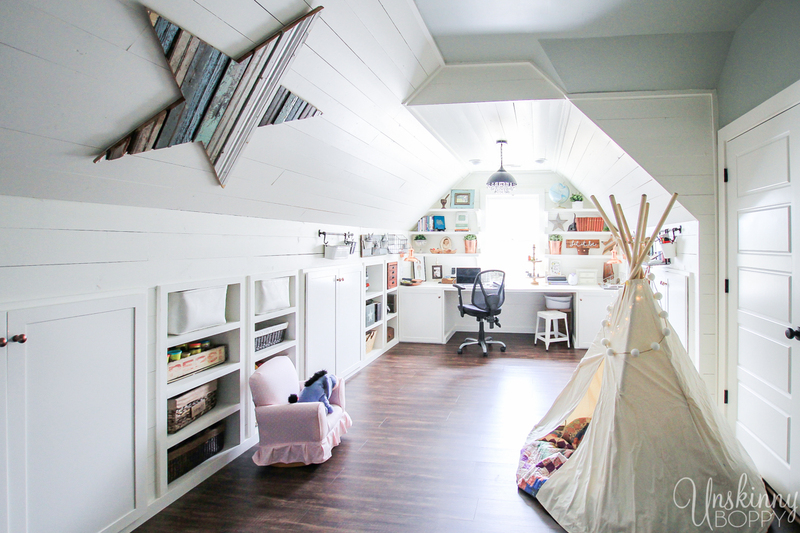 Fantastic attic renovation! It’s so bright and uncluttered. 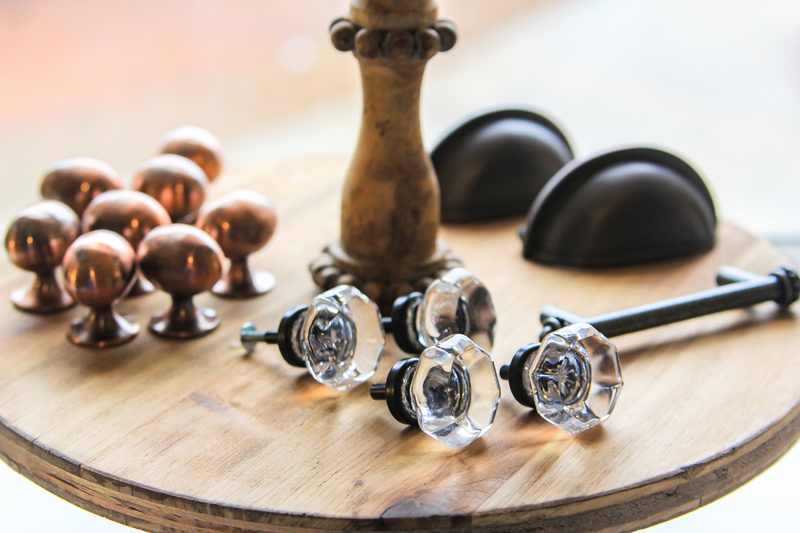 You have such a great eye for decor, seriously! 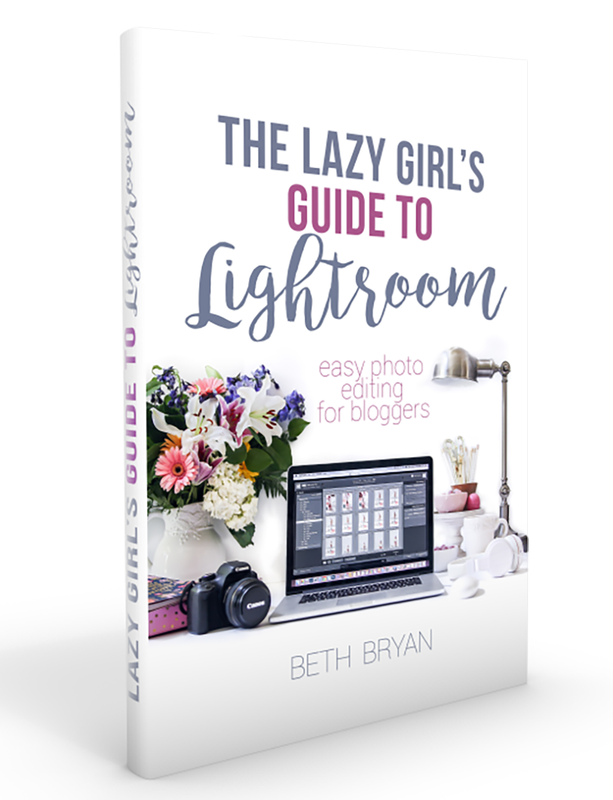 We are planning on finishing our attic, so I’ve been doing some Pinterest surfing and came across your blog. 🙂 I hope this isn’t to personal, but would you mind sharing your estimated costs? 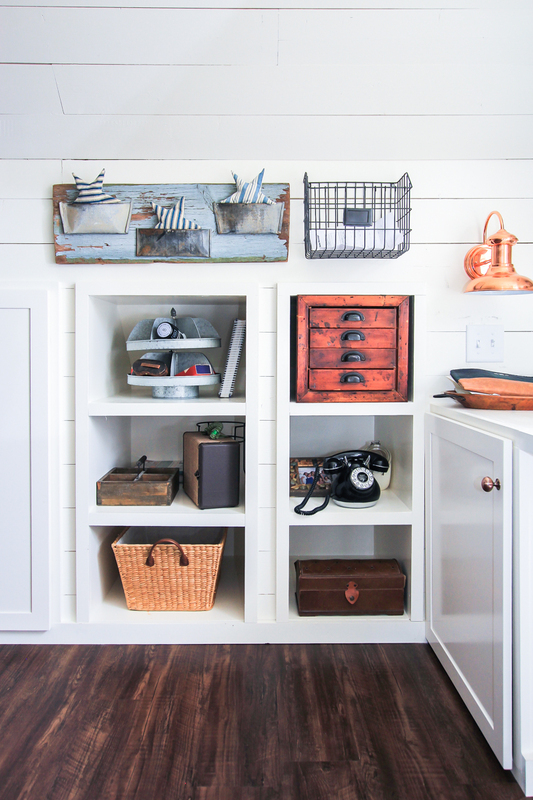 Mostly just for the sheetrock/shiplap materials. Thanks!